Rabies is one of the most notorious diseases that transmitted through dog saliva, and it is a viral disease that attacks and affects a central nervous system of its victim, and this disease can be very dangerous if didn’t treat quickly and properly. Although there are already many medicine and information about rabies disease, there are in fact still many things that can be discovered and some people might not know about rabies on a dog. If you want to become a better pet owner, so you should check out on our article here about 4 facts you might not know about rabies on dog. Rabies is a notorious disease because it can cause so many harms, not just for human but also for a dog. Rabies comes from viruses that are transmitted through contaminated animal saliva, not just dog but it can also be transmitted through any other mammals like bats. Inside the contaminated dog or animals, rabies can cause them to be rabid, too much production of saliva, high fever, and tendency to bite any that comes near them. If there is rabies outbreak in your town, you might need to quarantine your dog, make sure they don’t go outside too much and try to prevent your dog from getting contact with another animal that might be contaminated with rabies virus. You need to prevent your dog from getting contaminated by the rabies virus, as it can be very dangerous for your dog. Now, there is already a cure for rabies, and rabies is also a preventable disease. Rabies can also be cured with professional medical staff, and for a dog, there are already vaccinations to prevent rabies virus. However, you might find one or a few facts about rabies that you might not know yet. To further our understanding of rabies and its nature, here are some facts you might like to know about rabies, the harm they can be done to you and your pooch, and many more. Now, without any further ado, let’s get started, shall we? Sadly, there is no cure for rabies virus for a dog. Once a dog shows clinical sign of rabies infection like over production of saliva, sudden aggression and rabid, then you need to contact professional vets right away. With so many medical technology and medicine, there is still no cure for rabies for a dog. Once the dog is confirmed to have rabies infection, mostly dog will get euthanized for the sake of its owner and everyone around them. It is sad to say goodbye to our dog, yes, but it can be very harmful to everyone, and it can become a massive rabies outbreak if we don’t take care of it. Since it will be impossible to cure rabies infection on a dog, the best way to protect our beloved pooch is by preventing the rabies infection then. The only way is to protect your dog from rabies virus is by preventing them. The government now order for full rabies vaccination for every dog, and it is mandatory for every dog owner. You don’t need to worry about the side effect of rabies vaccination on a dog. Wants to know more about dog vaccination and home remedies? Check out on our other article here. To determine if the animal is infected by rabies, there is a clinical sign like rabid, over production of saliva and sudden aggression as the sign of rabies. However, to test rabies by examination on a live animal is practically impossible. 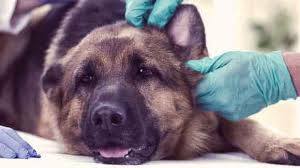 To test rabies, you will need to test on dead animal brain tissue, making it impossible to test rabies on a live animal, so, the only way to determine whether your dog is infected by rabies or not is by checking on clinical signs. If you see any sign of rabies on your dog, like sudden aggression, then you need to contact professional vets right away before it is too late. Although rabies is one of the most popular and notorious animal-transmitted diseases, rabies is actually a pretty rare disease. There is only 1 case of rabies in the USA in 2019, and there is a very small amount of rabies case all around the world. Thanks to the widespread of vaccination, advancement of medical treatment and the prevention of rabies outbreak from the government, rabies became a very rare virus and there is only very small percentage your dog will get infected by rabies. Maybe some of you already know about this fact, but to add some information here we are. Rabies virus had an incubation period. The incubation period is a period of time from the contact on the wound until the virus attacks the brain and the host becomes rabid and infected. The incubation period is vary depending on the wound, weather, host immune system, the location of the wound and many more. Scientific journal on rabies research determines that the time of incubation period differ, and the factor that can affect on how long the incubation period is mostly how far the open wound to the brain of a host animal. So, did our article help you? Did you found new facts about rabies here? Have you found any new facts about rabies? Rabies is a very dangerous disease as any animals infected by it will mostly be euthanized. To prevent harm for you, your dog, and everyone around you, the best way is to prevent rabies itself from infecting your beloved pooch. So, that’s it on our article about 4 Facts you might not know about rabies on dog. Do you know any more facts about rabies, and do you know any interesting fact about dog disease and treatment? Don’t hesitate to share it here with us, leave a like, comments and your opinion here. Your opinion and comment will mean a lot to us, and we love sharing it with everyone here.